Teach kids about the value of money. Is there a better alternative to FRS Money Math X? Is FRS Money Math X really the best app in Mathematics category? Will FRS Money Math X work good on macOS 10.13.4? 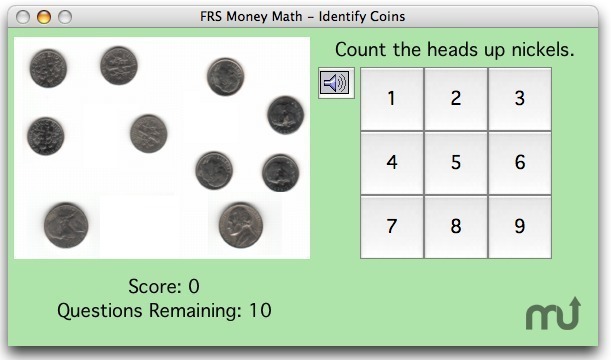 FRS Money Math is a fun and easy to use tool to aid students in learning to identify, total, add, and subtract money. It features eleven specific drills. FRS Money Math X needs a review. Be the first to review this app and get the discussion started! FRS Money Math X needs a rating. Be the first to rate this app and get the discussion started!